What Does it Mean to be a GAF Master Elite Contractor? 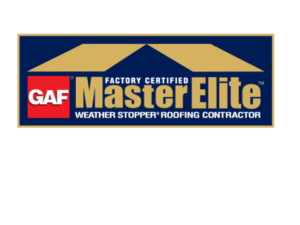 A GAF Master Elite contractor is an extremely prestigious award given to only 2% of roofers nationwide. GAF, the largest supplier of roofing materials and the standard for craftsmanship, deems roofers to Master Elite if they meet a rigorous set of standards, which take into account installation, warranties, certifications and customer service. To even be considered, a roofer must be properly insured, licensed, committed to ongoing training and education and have a record of strong performance within the community. You might be surprised at just how many roofers do not even meet these basic credentials, especially in Maryland where contractors are only regulated by the MHIC. How do you become Master Elite? How do you keep your status? Just because you were awarded the Master Elite status but GAF one-year, does not guarantee you will received it again. GAF reevaluates your status each and every year. As a contractor, this means you have to provide quality craftsmanship and excellent customer service year-round. Should you have a customer complain to the Better Business Bureau, that could potentially impact your Master Elite rating and almost 70% of BBB complaints are roofing related. This means every customer and every job truly matters and we must live up to our Master Elite status, 365 days a year. What does a Master Elite Roofer do for you? GAF holds their Master Elite contractors to a higher standard which is why they allow them to sell exclusive products to customers that 98% of other roofers cannot. This includes the most comprehensive warranty in the industry, the golden pledge. This warranty covers not only manufacturer defect but also workmanship for 25-years. Most contractors only offer less than a 5-year warranty for their workmanship but GAF will stand behind your roof for 25-years under this warranty. Even if you are not so concerned about an extended warranty, it is nice to know you’re working with a contractor who can provide that option should you change your mind. Furthermore, because of the rigorous process to become Master Elite, you can count on having a quality roof installed and working with an exceptional company. 98% of customer who work with a Master Elite roofer would recommend them to a friend or family member. That number is unheard of, especially in this industry where contractors usually have a bad rap. Credentials absolutely matter when it comes to such a huge investment like a new roof. That is why it is important to use a quality, Master Elite roofer like Modern.